Grab's Vietnam Head On Go-Viet's 'Everyday App For The People' Branding - "[It's] Very Similar To Ours"
Jerry Lim heads Grab’s operations in Vietnam, where he’s now in charge of leading the firm against a freshly launched competitor, Go-Viet — an offshoot of Indonesia’s Go-Jek. 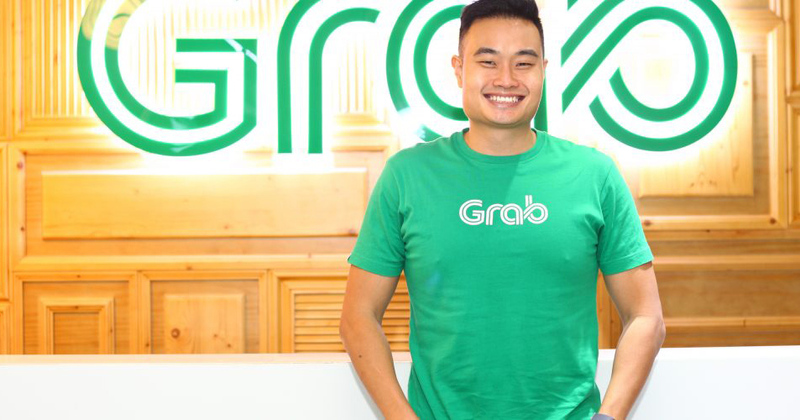 Grab launched in Vietnam in 2014 as part of the Malaysia-born Singapore-headquartered startup’s regional expansion push. Grab started as an app with a simple function to let its users summon the nearest taxi, then it added more ride-hailing options and on-demand services along the ride, expanding both vertically and geographically. 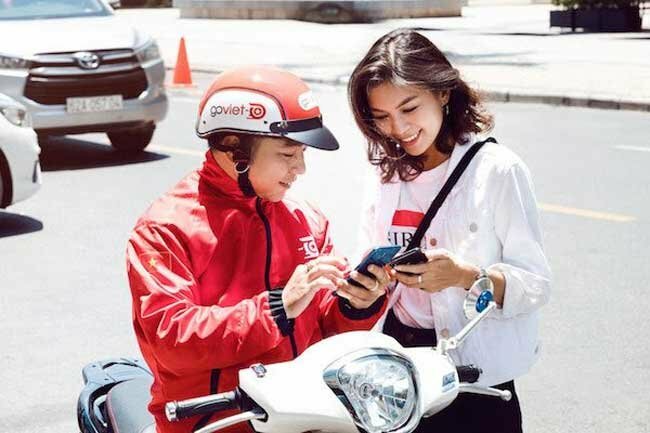 Across Southeast Asia, a hotbed for an internet economy underpinned by a growing population of affluent and tech-savvy mobile users, Grab was in a race for market share with Uber – including in Vietnam – until the companies agreed to merge earlier this year. Lim joined the Grab Vietnam team in 2016, after he’d headed the Singapore office. He says it was a personal challenge to take the role because he feared he was getting “too comfortable” in Singapore. Here are excerpts of our interview about his view on expansion strategies, rivalries, and Grab’s plans in Vietnam. It’s been edited for clarity and brevity. KrASIA: You were Grab’s Singapore head before becoming its country head in Vietnam. What made you decide to go to Vietnam? Did you have any prior experience? Lim: No, I did not. I had a very short management consulting stint in Hanoi, but that was more than eight years ago. I’m a Singaporean and among my team in Vietnam, I’m the only foreigner. Who understands the local market better than the locals? I don’t see this as a long-term role for me. I do knowledge transfer, best practices, and build a very solid team, to eventually have a local run the organisation in Vietnam. There are two main reasons why I decided to take up the stint in Vietnam. One is that I’m a Singaporean and I’ve worked in various industries through consulting and government – I was in a very comfortable spot. We need to subject ourselves to new environments and new challenges to grow and develop. I felt that I was really too comfortable in Singapore. Initially, I was very sceptical. I didn’t speak the language, I don’t really understand the culture. When I first went there [in 2016], only two people in the Vietnamese team could speak decent English. So, you can imagine out of a company of 150 people, you can only speak to two people – you need a translator for everything else. Second reason was that I wanted to feel that I’m doing something that could have a lot of impacts. The only opportunity to see this kind of [exponential] growth is when you work in a developing country. If you were in China for ten years, you’d have seen it. And I felt that Vietnam was in a very good place at that point in time to experience this sort of growth as well. KrAsia: What were some business challenges you had to overcome when you arrived? Lim: One challenge was regulations. The pilot license when I first went there just got approved. There was a lot of pushback from the taxi association and companies against the entry of e-hailing, which was disrupting their business. Obviously, they were pressuring the government. We started working with them to see how we can be more cooperative but also help the government to show positive benefits of embracing technology. Over the last two years, a lot has changed. The second challenge was in hiring. We couldn’t pay top-quality dollar versus the big conglomerates and MNCs. One of our strong selling points was the dream. You’re doing something that’s making a lot of impact on the people. We pay decently, by the way. It’s not that we pay a low amount, but it’s just not top-dollar. Convincing talent, especially tech talent in the initial early days to join us was really tough. The third challenge was convincing all our partners to get on board. Today, we have more than 150,000 bikers. Bikers, traditionally, are not very technologically savvy. To get them to embrace technology was a hurdle. You have to go individual, face-to-face. You can’t throw them online training and say to go on YouTube to watch the training. On onboarding our partners, merchants and drivers – not only our supply side, but even restaurant merchants, [it’s challenging]. It really is very hands-on, face-to-face. I think the work we do is very meaningful because you’re changing the face of traditional industries. As a country, they’re all taking one step toward technology and digitisation. KrASIA: How do you pay your bikers? Lim: All our bikers have an e-wallet. We want to enable them to collect cashless transactions, whether it’s through credit cards or payment credits. This money goes in their e-wallets which they can cash out on a daily basis. This money is wired the next day to their bank accounts. We [collect our service rates with] a commission wallet. When [bikers] take a job, let’s say a 120,000 VND (Vietnam dong) job, we deduct 20% from that wallet. They could transfer money from their cash wallet to this credit wallet as well to top up, so they don’t have to go to a bank to top up their credit wallet in order for commissions to be deducted. One of the local things that we’ve done is to enable these cash wallet to credit wallet transfers. We’re trying to get more people to adopt the wallet solution and cashless platforms, so one of the ways to incentivise that kind of the behaviour, we used to offer promo codes for cash transactions, now we offer it for cashless transactions. One of the other interesting things that we do for localisation is that for corporates, in Vietnam, they still use taxi cards. We came up with our own card system, a corporate card. If I go to a company, let’s say Unilever, they could have a Grab corporate card, which they can then use by inputting the card number into our app and then take cashless rides. At the end of the month, we charge it to the company. KrASIA: Other than food delivery and a couple of the other services that you have in Vietnam, what other verticals does Grab intend to bring into Vietnam? Lim: There’s a lot of things we’re experimenting with in the region. I think that’s one great thing about being a regional company. You have a multitude of products you can pilot in different cities. Each of the cities can look and ask if the results are relevant to their market. As an example is Grab Shuttle which started in Singapore. Now we’re working with the Vietnamese government to see how we can optimise public transportation routes using shuttle buses. We’re also looking at rental models where tourists and business people could rent a car for the whole day versus booking point to point. One of the local things we do in Vietnam is GrabProvince. Because Vietnam has 63 provinces, people sometimes take business trips or holidays from one province to another. So we launched an inter-province trip with our seven and four-seater cars. For example, if I’m in Ho Chi Minh City and I want to go on a short holiday in Phan Thiết, I can book a car that sends me there. We are still working very hard towards [building] the ‘super app’ ecosystem as well. One of the key things is to bring in other merchants and technology companies and get them integrated into the ecosystem. We won’t say that we want to launch new products and services in these areas, but we work with partners and other technology companies, as well as startups, to integrate their services and offerings into our ecosystem. They are able to leverage the user base that we have to offer, but at the same time our users get to experience all the new products and services on the platform. KrASIA: Before the merger, your biggest competitor was Uber. Now a number of new competitors are rising up. How did you deal with that? Lim: If you remain relevant to the customer, if you’re providing the best service, the most efficient allocation, the best product and experience, there’s very little reason for them to try or move on to a different product. Focusing on the customer has always been our top priority. When it comes to competition, we believe that competition is good for the industry. Iron sharpens iron. If the customer is choosing a different competitor product over ours, what is the reason? It leads us to question ourselves and continue to innovate and iterate and become even better. I say that competition is good for the industry, but to the extent that there are certain competitors who focus so much on growth that they neglect certain things like quality or allow the prevalence of fraud on their platform. [Competition] must be done in a healthy manner. KrASIA: What about when your competitors offer a lot of subsidies? As consumers, they will try whatever that is cheapest, right? Does that affect your business? Lim: I wouldn’t say it does not. It does. Yes, there will be a group of consumers who are more price-sensitive, and when there are good promotions that are thrown to the customer, they may try a new product. But what we think is very lasting through the times, is if we can hold true to our promise – the quality and the service standards that we deliver to the customer, and we hold true to the values that we have, then eventually, it builds a very strong brand that resonates with the customer. If certain companies have less strict onboarding processes it results in higher occurrences of fraud on the platform. [For fraud protection,] if there are bookings that are faked because the drivers tried to book themselves, then there’s less supply to serve the customer. They do this because they’re chasing after incentives. It’s also bad for the [reported figures] because some of the bookings are actually fake, which means that there are a lot of cancellations. These are cases where if you don’t have very strict fraud checks on the system, then the widespread prevalence of this is very detrimental to the overall experience, whether it’s for the customer or supply partners. KrASIA: Is fraud more prevalent in developing markets? Lim: I wouldn’t say that. It’s a case of ‘if you throw very attractive incentives, then there’s a natural risk of people wanting to commit fraud’. But if you have a very robust back-end system, then it’s able to detect [such behaviour] through machine learning and algorithms. Then people know that [Grab] can detect my behaviour. It’s a strong deterrent. KrASIA: Go-Jek has officially launched its services in Vietnam, under Go-Viet. What are your thoughts? Lim: I would think that launching the brand under a local company is much tougher for them. It’s harder to scale. We look at our app as a regional thing because when you want to roll out new features, new patches, security fixes, it’s so much faster to do it in the same stack over the entire region. But if you have different applications in different countries, you have to create the extra fix for each. It takes more time and resources. Plus, if you’re launching a new brand, you have to spend a lot on marketing to educate the public, to tell them that this is a new brand. They really spent a lot during their launch events to market the brand. We do welcome competition. Sometimes, they throw out claims of numbers that they have without a lot of validation. KrASIA: You don’t see any advantages in going with a local brand? Lim: We felt that it was a very interesting strategy, saying that it’s by the locals for the locals. We do see a lot of resonance. When they first started, they said that it’s by the locals for the locals but they’ve now shifted their branding message to “an everyday app for the people”. Which is very similar to ours. A lot of the news articles actually still link Go-Viet to the parent company Go-Jek. Even if you say that it’s set up by locals, it may not really mean that it’s a local company in that sense. People tend to find it hard to believe. One of the very interesting things that we saw in general when competitors are very focused on growth, they tend to neglect their back-end infrastructure. If you decide to focus on growth as a story itself, safety, which has always been paramount to us, may lose some of its focus. KrASIA: Regarding safety, how do you do your background checks? Do you ever take anyone with a criminal record? Lim: There are local criminal checks you get at the Ministry of Justice. There are two ways. When we first started, [we got the background checks] at the local district police. But that’s the district system – the city. Then, you’ll have to go to the national level, which will take a longer time. So you have to go to the Ministry of Justice to get that, and that takes about 14 working days. The first level we have is to get the local documentation from the police while waiting for the official nation-wide record. If it’s a minor theft, petty theft, things like that, [we decide] on a case-by-case basis. But if it’s for sexual harassment, assault, robbery, it’s definitely a no for us. KrASIA: Other than Go-Jek, there are more local competitors. Do you see any threat in them? Lim: I won’t say it’s a threat. I want to really say that we exist in a healthy ecosystem where all of us are competing to offer the best product relevant to the consumer. One of the other interesting companies that recently came up is FastGo; they are funded by VinaCapital. This is actually developed by locals, where they say we’re developing something that is relevant to the market and we’re trying to take it to the next level. [Competition] forces us to think about the next step. Be like Apple in the old days, where you’re able to predict what a consumer needs, even though they may not actually say that they need this feature or product. We need to be at that level. This article was written by Elaine Huang, edited by Nadine Freischlad and Ben Jiang, and first appeared on KrAsia.